Atago Tengu Park (あたご天狗の森公園) is located on the top of Mt. Atago, Ibaraki. 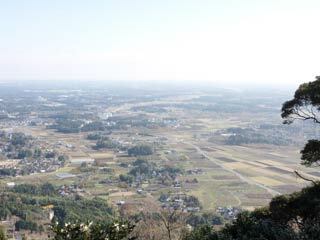 It is 305m high, and you can see the great view of middle Ibaraki Prefecture. There are many Tengu related stuff, including Atagoyama Shrine. The legend said Tengu had trained here in this mountain. There is also many kids facility, therefore on the weekend, many people visit here for family activities. There is observatory and hotel in Atago Tengu Park. Atagoyama Shrine is one of the three major Fire man Shrine built in 806. There are many Teng related stuff in this park.